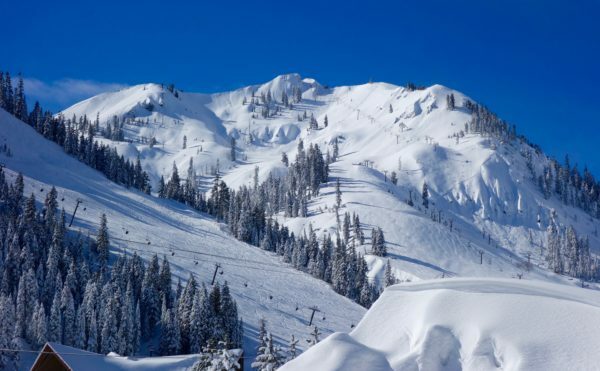 Another stellar month of storms left Tram Face stacked and ready to make history. Photo by Greg Martin. It felt greedy to hope that winter could continue at the same relentless pace as our record breaking January but that’s exactly what happened. After a week’s reprieve from shoveling another moisture jet pummeled California causing widespread flooding, stressing out state reservoirs and stacking up feet upon feet of snow in the Sierra Nevada. 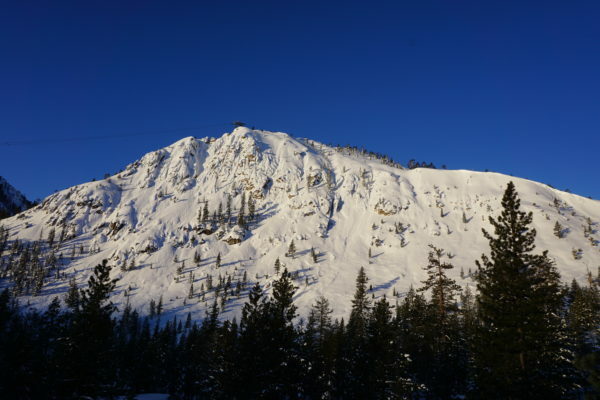 The Donner Summit snow lab reported it’s biggest February since 1998 and our snowpack is now over 200% of average for this point in the season. The City of Reno broke it’s annual record for rainfall only half way through the calendar water year. 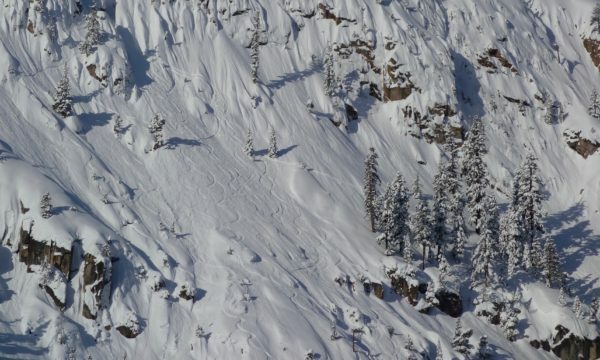 KT 22 on February 22, 2017. The storm cycle ended cold and dry and left Tahoe with absolutely perfect powder on top of a massive base. Basically any and all lines in the region have come into play. 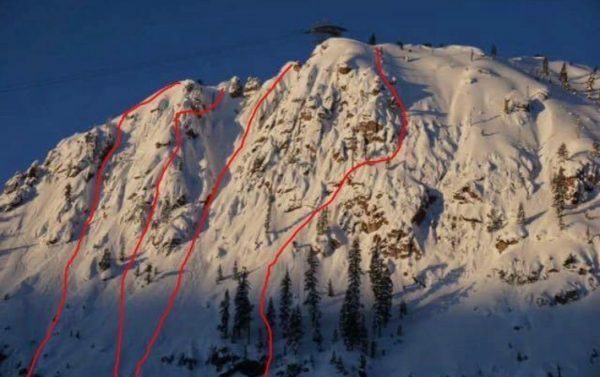 Squaw Valley’s Tram Face saw heavy traffic for the better part of a week and several first descents were put up. The complexity of the new lines speaks not only to the quality of our snowpack but to the caliber of rider attempting them. Some of the new descents can be viewed more as dynamic mountaineering objectives than basic ski routes. The elusive Lua’s Lane (entering top right) sees tracks for the first time in years. Note heavy traffic in Tram Chute on left side. New lines on Tram Face. 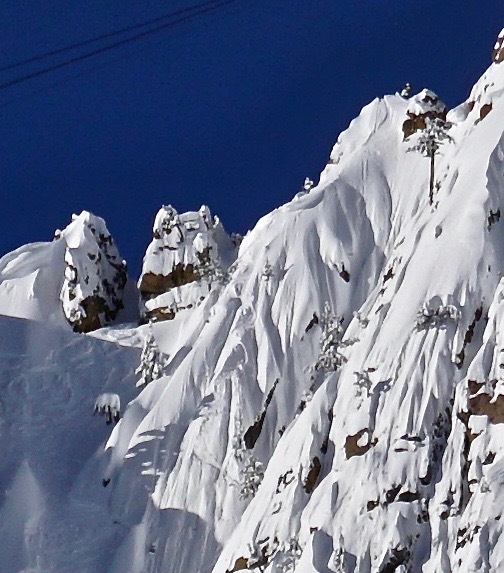 Second from right is Lua’s Lane which has been skied before though very rarely. 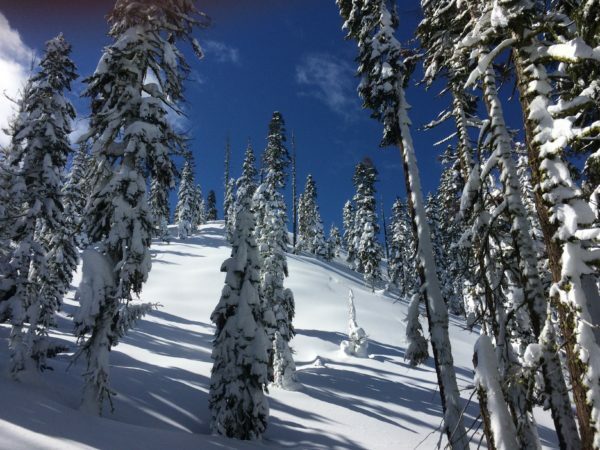 Backcountry conditions have been as good as they ever get. Low hanging fruit is ripe for picking and this is the season to ponder larger objectives as they come into shape. 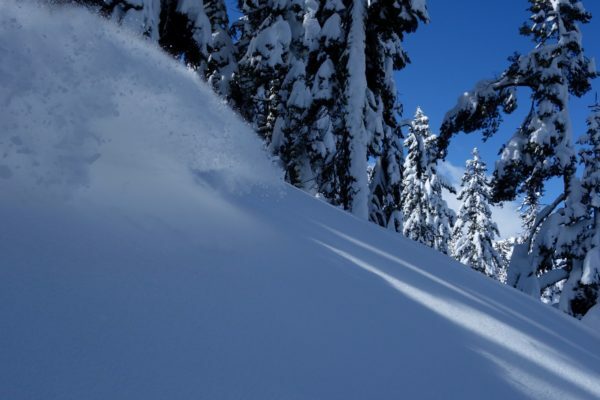 Mark Durgin explores the backcountry on February 24. Perfect conditions on north aspects. 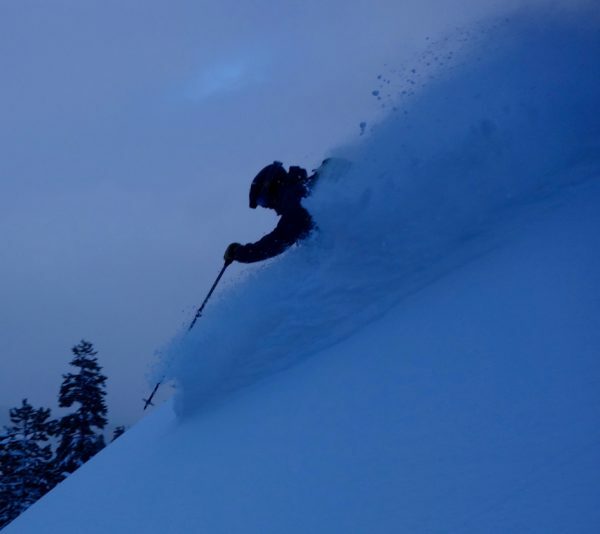 Stephanie Brodi gets barreled in the Truckee backcountry. 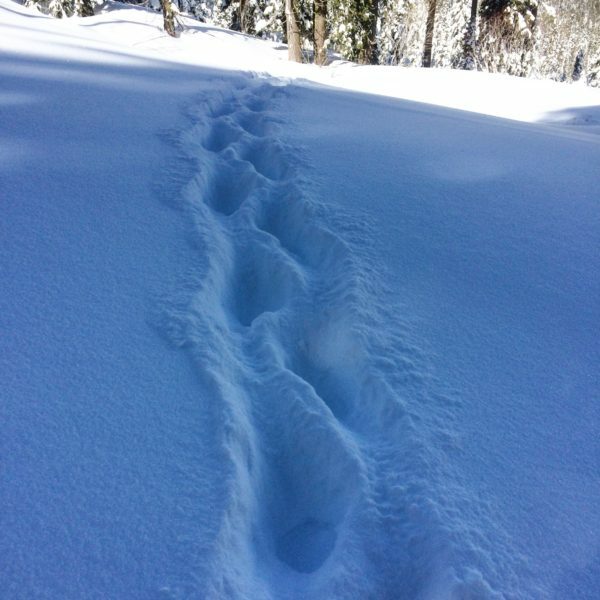 Humans aren’t the only ones getting fresh tracks.